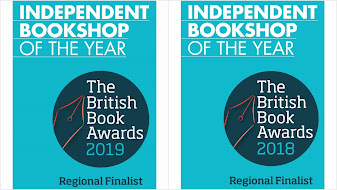 ‘Alice’s Adventures in Wonderland’ is 150 years old in 2015 and to celebrate there will be lots of Alice-themed events happening at Mostly Books over the Summer. But how did such a timeless classic begin? The river outing of maths lecturer, Charles Dodgson, with the Liddell family on 4 July 1862, from Folly Bridge to Godstow, is now famous for the fact that the Alice story was told and Alice Liddell asked for the story to be written down. It took him more than two years to finish, but it was a success from the moment it was published, with Queen Victoria and Oscar Wilde among early fans. Political cartoonist John Tenniel, was asked to do illustrations (and has been cited by new children’s laureate, Chris Riddell as a huge influence) and not only brought the story to life, but created pictures which have become part of the public consciousness. You can read the full story on Macmillan's rather wonderful Alice150 website. Particularly intriguing is the influence of the restrictions of colour printing on the colour of Alice’s dress. For example, did you know that originally Alice’s dress was red – and in one edition, yellow. 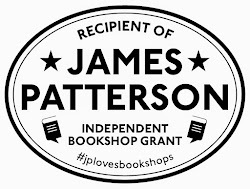 The book has never been out of print, but changed in its early years. 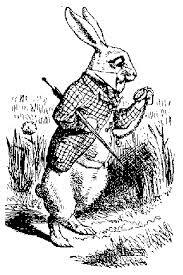 Not long after Carroll’s death in 1898, a new edition was planned and as Tenniel’s eyesight was fading. Harry G. Theaker was commissioned to colour sixteen plates of the Tenniel illustrations for a one volume edition of Alice and Through the Looking Glass published in 1911. 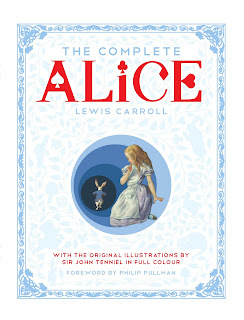 The blue that he used for colouring Alice’s dress, together with the white apron and blue striped stockings, established the iconic dress colour that has remained in the Macmillan editions ever since. It was later adopted by Walt Disney for their 1951 film. After a couple of alternative titles for Carroll’s story were rejected - Alice Among the Fairies and Alice’s Golden Hour - the book was published by Macmillan in 1865 as Alice’s Adventures in Wonderland. There are editions now for all ages, from gift versions to picture book retellings, but our current favourite is the Little Folks Edition. It is a charming miniature edition of Lewis Carroll's classic tale which is specially abridged for younger readers. A sixth of the length of the original 1865 edition, it features 32 brightly coloured illustrations by Sir John Tenniel, uniquely featuring Alice in a red dress and faithfully reproduced from a rare archive copy, this unique little book retains all the charm of the historic original. 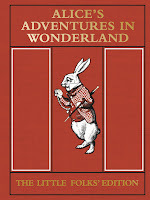 Celebrate 150 years of Alice's Adventures in Wonderland with a pocket-sized piece of history! Of course, Alice in Wonderland has inspired all kinds of other books and creative works, from Damon Albarn's wonder.land musical to The Matrix. 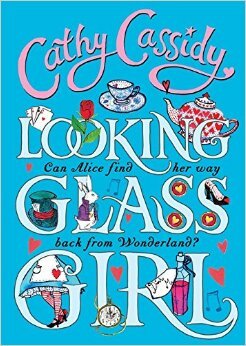 Some of the themes familiar from ‘Alice in Wonderland’ take on a nightmarish tone in Cathy Cassidy’s ‘The Looking-Glass Girl,’ written in celebration of 150 years of Lewis Carroll’s timeless book and brings many of the themes to a modern audience. Cathy Cassidy is one of our best-loved authors, cherished for her family stories of friendship and early teen romantic fiction (and we were very pleased to be involved with her at a recent event at Didcot Girls School). So it’s a departure and a move into new territory that ‘The Looking-Glass Girl’ takes on a thriller tone right from the start. Alice has been increasingly isolated since her best-friends from primary have moved into a much ‘cooler’ set at secondary school. So when she gets invited to a sleepover with them she is not sure whether to be pleased or concerned – a feeling many girls of this age will easily relate to. What does the night have in store? Is there some other motivation for inviting her along? What will they being doing and will she be ‘cool’ and grown-up enough? From when she arrives at the Wonderland-themed party, everything from costumes and the painted faces of the other guests is unsettling. The drink is served in a teapot that Alice suspects is spiked with alcohol, Alice knows she is out of her depth, but desperate to be included. She has to tread as carefully as her namesake to work out friend from foe, but it all goes horribly wrong. We know from the opening of the story Alice will end up in a coma, with everyone lying and covering up exactly what went on. The tension is cranked up from unexpected arrivals at the party and a few games where Alice feels she is less of a guest, more of bait. The arrival of a boy Alice likes ratchets up the tension as she can see clearly that one of the other girls likes him too . . .
Taut plotting means the story of what actually happened that night and what is really going on among Alice’s ‘friends’ is revealed only slowly, partly through confessions at her hospital bedside and her nightmarish dreams as she tries to find her way back from unconsciousness to the real world. Tweens and early teens will love this fresh tale with more than a hint of threat and danger in amongst this tale of friendship and early romance. A total triumph and really true to the original tale, while being really fresh and different.